We are pleased to announce the elevation to partnership of Doris Cheng and Khaldoun Baghdadi. We congratulate each of them for the manner in which they have distinguished themselves in the courtroom and the community. 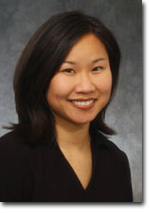 Doris is a 1998 graduate of the University of San Francisco Kendrick Hall School of Law. She has obtained successful verdicts on behalf of clients in vehicular accident cases, government liability trials, claims brought against the Municipal Railway, and medical negligence cases involving orthopedics, infectious disease, neurosurgery and obstetrics. Her trial experience includes both State and Federal Court. In the area of continuing education and community service, Doris has been active as a faculty member for the National Institute of Trial Advocacy (at programs held in Boulder, Colorado, San Diego, San Francisco and Albuquerque, New Mexico), as well as the University of San Francisco’s Intensive Advocacy Program where she has served as a faculty member and executive committee member since 1999. In 2006, Doris received an appointment from Emory University School of Law in Atlanta, Georgia to serve as a team leader at its nationally known Kessler-Eidson Trial Techniques Program. Doris has served as membership chair, program chair and secretary-treasurer for the USF Inn of Court. She sits as a member of the BASF Judiciary Committee. In 2006, she lectured on topics including closing argument, direct and cross of experts, handling obstreperous opposing counsel, and utilizing PowerPoint as a persuasive tool in the courtroom. 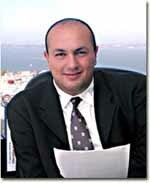 Khaldoun is a 1997 graduate of the University of California, Hastings College of the Law. While at Hastings, Khaldoun served as the managing editor for the Hastings International and Comparative Law Review. He has obtained successful jury verdicts in a wide variety of matters, including cases involving insurance bad faith, medical negligence, vehicular negligence, product liability and premises liability. He has also obtained seven-figure settlements in cases involving medical malpractice, government liability, automobile product liability and drug and device product liability. Khaldoun is active in both community affairs and Bar Association committees. He serves, via mayoral appointment, on the San Francisco Human Rights Commission, and is Co-Chair of the Bay Area Arab American Attorneys Association. He has taught at Hastings College of the Law as an Adjunct Professor, and for the National Institute of Trial Advocacy at its Western Regional Trial Skills and Deposition Programs. Most recently, he accepted an appointment to the Bar Association of San Francisco’s Litigation Section Executive Committee.